I know there aren't a lot of people on here from this area (hell I don't even live there anymore), but just lettin' y'all know that there is development going on in this area of the state as well. Once this thing is completed, you'll have to PAY me to drive on 29. 8 lanes of insanity it will become. CMSS strikes again.. um, jk. Looks pretty nice though, pretty town center style as it may be. CMSS strikes again.. um, jk. Looks pretty nice though, pretty town center style. Haha, does CMSS have a bad rep that I'm not aware of? This thing was posted on UP a year or more ago. Any news on it? As urbanvb said, it's very "town center style." That's what I hate about it. It's better than big-box stuff you see all over Route 29 for certain, but still, gag me with a spoon over here. This will be a boon for Albemarle County and maybe it'll bring good things in the future. Urban development in Harrisonburg and Staunton.... now THAT's something I'd like to see! Both cities have done a good job destroying their downtowns over the past few years. I hope hope hope that they can bring some life back to their old central districts. Preliminary site plan was approved in August of 2006, and the area is being cleared now. I drove by it a few weeks ago and it looks like its close to the point where building construction begins. Regarding downtown Staunton & Hburg, they had a wave of "urban renewal" during the 60s and 70s that DID destroy parts of both downtowns, but during the past 15 years both cities have made concerted efforts to redevelop them. Staunton has had particular success with this endeavor, with over $100 million invested in the downtown recently. I'll highlight some projects in a bit, but Staunton is actually rebuilding their central core, not destroying it. Waynesboro, on the other hand, has thoroughly sold out to the big box retailers. Desc: Urban downtown village - two buildings, one of condos/apartments at 9 stories, and the other with more of a rowhouse-type feel at 3 stories. All residential. Thanks for the updates. I especially like the First and Main renderings. As for CMSS, really they do ok work but nothing spectacular imo. They seem to be the firm that does a lot of comprehensive development in Hampton Roads. Nothing wrong with that but it would be nice to have some other players mixed in the game as well. I was going to merge this with the Charlottesville TC thread but since you're using this as an overall projects listing i'll leave it be (and pin it to the top). Looks like some very nice projects going on. I wasn't aware that soe much was in the works for that area. Thanks! Yea the area is starting to see an influx of residents from DC & Richmond (and on a smaller scale actually from C'ville to the valley). Kind of off topic but how is the job market there? Any major tech jobs or such in or moving into the area? 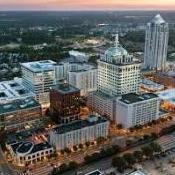 Sorry it took a while to respond, I've been getting ready to move to Charlotte, NC during the past few weeks. Anyways, job market is decent in Charlottesville & Staunton. Not surprisingly, UVA brings in a LOT of jobs for C'ville, there are several business parks in and around the city that focus on tech and research jobs. Staunton is much more of a blue-collar town, but they are slowly starting to attract higher-paying tech and research jobs. Hi, Paz. Though height limit for Albemarle Place is listed as 10 floors, there's at least one building in the rendering that's higer than that. In fact, it looks to be about 20 stories. Wintergreen atop the Blue Ridge Pkwy is growing also, I believe. I think Staunton has lots of character. Is the Shakespearean playhouse still operating? What about the other downtown theatre (State?). I had heard that it was to be restored. And I recall an out-door museum of centuries-old farm houses and other structures. Forgot its name, but it's near I-81 and on US 250. The spirit of Cyrus McCormick is also a presence off the I-81 corridor between Staunton and Lexington. Regarding Albemarle Place, I thought that was odd on the rendering as well. I'm pretty sure the county is limiting them to 10 floors, but we'll see. Wintergreen is growing very rapidly, it is quickly becoming a true mid-atlantic destination. I'd like to see it continue to grow, its great for Neslon County. Staunton currently has one Shakespeare playhouse open (the Blackfriar's), and they plan on building a replica of the Globe theatre, which will be significantly larger. There is another downtown theater, the Dixie, which will be rebranded the Staunton Performing Arts Center once completed. It is (and has been) a second-tier movie theatre, it was great for cheap movies growing up. However, they plan on it becoming a large single theatre with ample seating and a place for everything from theatre to concerts to films. The outdoor museum you speak of is the Frontier Culture Museum, which is undergoing a pretty decent expansion right now. They want to recreate a model of an 18th-early 19th century frontier town. They had some outparcels that they were going to lease to a shopping center to pay for some of this expansion, but the only deal they could solidify was a Ruby Tuesdays (and I think maybe another restaurant). All in all I feel Staunton is moving in a good direction. They have had a sudden population/housing stock increase, with something like 2000 new residential building permits in 2004 and 2005. There are currently about 18 new subdivisions (everything from multifamily subsidized housing to larger single family homes) under construction in the city, which is really without precident in its history. Since the mid 1990s the population seemed to have been trailing off. School enrollment dropped significantly, but in 2006 it actually increased. The next 10 years in Staunton and the entire area will be a fairly exciting time. National Wine Bloggers Conference to be held in Charlottesville next year 2011! Plus with the second largest wine trade show in North America moving from Pennsylvania to Richmond in 2011. Virginia is about to take over the wine industry! I don't know why this thread is in the Hampton Roads forum. Charlottesville is a good 2 and a half-3 hours away from me. vdogg can you move this? 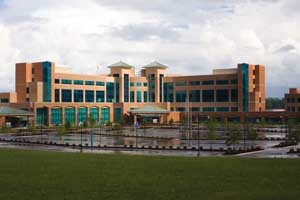 A new hospital opened June 22 in Harrisonburg! I agree! This needs to be moved to the Virginia Forum! "Harris to expand in Harrisonburg, add 100 jobs"
"James Madison University's wind-energy efforts are getting an $800,000 lift from stimulus money. Lt. Gov. Bill Bolling announced the funding for the school's small wind-training and testing facility in Harrisonburg during his appearance yesterday at the State Wind Energy Symposium. JMU will use the money to develop a training curriculum on small wind turbine safety, site assessment, installation and troubleshooting. The funds will also pay for the relocation of an existing tower and a new tower and turbine, among other things. As interest grows in using wind turbines to provide power to homes and farms, so does the need for trained workers, said Stephen Walz, director of the Department of Mines, Minerals and Energy. "There are a growing number of companies in Virginia that are installing new systems, and we want to support the growth of these companies and these jobs," he said." "Joint-Use Intelligence Analysis facility debuts"
More than 800 DIA personnel are expected to move into the area by next year to work at the 46.6-acre facility. They will join 200 NGIC personnel from the nearby Army center. DIA personnel are coming from several offices in the Washington, D.C., area.The agencies have different missions that often overlap. NGIC provides intelligence on theater-specific Army operations such as those in Bosnia, Iraq and Afghanistan. DIA provides intelligence and information on a world level, investigating potential threats from other nations, political and religious movements and possible terrorist organizations. NGA develops intelligence across the world using a variety of techniques, including satellite imagery. Area business officials have estimated that the DIA could bring $64 million in earnings to the community, with annual salaries that are expected to average about $80,000. The Rivanna Station intelligence center is expected to generate another 600 off-site jobs in a variety of occupations, from janitorial service to defense intelligence contractors, industrial development officials have estimated. there seems to be a dept. store anchor pad there too, anyone know which store could potentially be coming here? Out of curiosity why is that project controversial? That is the norm for projects out here in HR.